Calvin C. Creasser, age 94 of Altus, Oklahoma, passed away Sunday, November 11, 2018 at the Plantation Village Assisted Living in Altus. Calvin was born in the Colorado Springs, Colorado area on August 22, 1924 to his parents Mark Keller Creasser and Mamie Sarepta (Crawford) Creasser. As a young man the family lived in Colorado, Kansas, Buffalo, Missouri. In 1942 Calvin enlisted into the United States Army Air Corps and as the Air Corps became the United States Air Forces he was inducted into the United States Air Force. On September 14, 1944 Calvin married Mary Ruth Bell in Springfield, Missouri and they enjoyed over 53 years of marriage together before Maryâ€™s death in 1998. Calvin served his country for over 31 years and was stationed at numerous Air Force Bases throughout the years including; Spokane, Washington, Denver, Colorado, Ft. Worth, Texas, Altus, Oklahoma, Atwater, California, Holyoke, Massachusetts, and Abilene, Texas. During his career in the Air Force Calvin served during World War II, the Korean War, and Vietnam. Calvin retired from the Air Force in 1974 and achieved the rank of Master Sergeant and he received a multitude of awards and decorations including the Distinguished Flying Cross. Calvin enjoyed his time at Altus Air Force Base and after he retired in 1974 he moved back to Altus and has remained a resident since then. He was a member of the Tamarack Road Church of Christ and stayed active in the American Legion and Veterans of Foreign Wars. He was especially proud to be a part of the 26th Bomber Squadron Association. Calvin served his country with distinction and he treasured spending time with his family and grandchildren. Preceded in death by his parents, his wife Mary, one brother, William Nial Creasser, two sisters, Iva Gertrude Gosney, and Leni Elizabeth Howe. 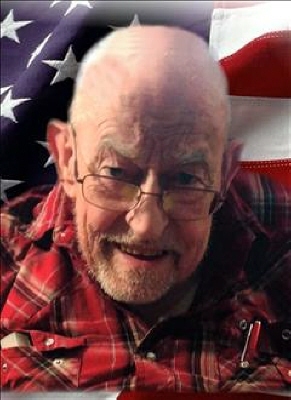 Calvin is survived by his four children, John Mark Creasser and wife Lynn of Lawton, Oklahoma, Anna Marie Rasmussen of Altus, Jeffrey Wayne Creasser and wife Pearlie of Oregon, and Jerry Ray Creasser and wife Renna of Texas, twelve grandchildren, twenty-nine great grandchildren, eight great great grandchildren, sister-in-law, Myrna McFarland of Moore, Oklahoma, as well as numerous nieces and nephews, other family members and friends. Graveside services will be at 3:00 pm on Wednesday, November 14, 2018 at the Altus City Cemetery with Reverend Kevin McFarland officiating. Military Honors will be rendered by the Altus Air Force Base Honors Detail. In lieu of flowers memorial donations may be made to the Alzheimer's Foundation of America, , or (866)-232-8484 in honor of Calvin C. Creasser. To send flowers or a remembrance gift to the family of Calvin C. Creasser, please visit our Tribute Store. "Email Address" would like to share the life celebration of Calvin C. Creasser. Click on the "link" to go to share a favorite memory or leave a condolence message for the family.